It seems this bracket and the roller with pin were used on Case GR, GT, CHA, CHT, SRA and STA plows. 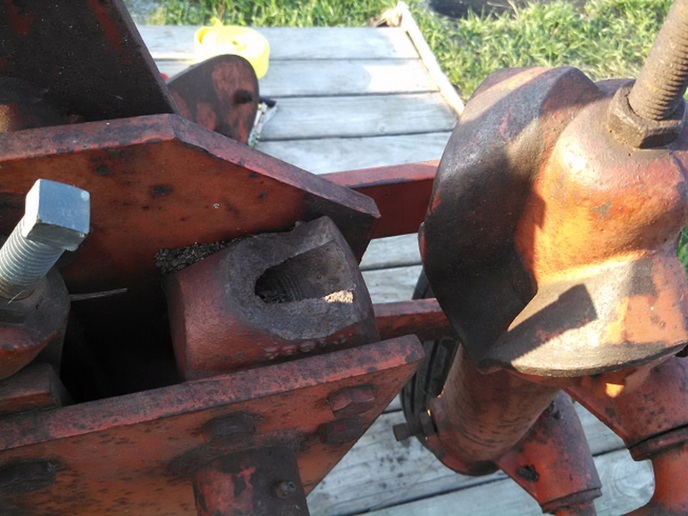 I am also wanting to add trash boards to my plow and need the trash board T63221 and mounting bracket T1878. I have checked with my local Case dealer and Messicks with no luck. Does anyone know of a source for old plow parts or have one in the weeds they would be willing to sell parts off of? You may get lucky but I doubt it. I would take the diagram to a fabricator who is over 50 years old, and ask him if he can make them up. A machine shop would be able to make nicer parts, but for the most part they hate stopping a machine for one off stuff, while it is the fabricators bread and butter. I am not sure what that plow is. But on my John Deere you only locked that whrrl in for road travel and inlocked it for in the field so it could turn when going across the ends. It keppt the wheel from wipping on the road. Now this was a 3 bottom drag plow that was carried with the tail wheel But picture makes me think it is same way. IHC was loose to turn all the time and owners carried a vice grip to clamp on the rod that controled how far the wheel could move in the ground and used that vice grip for road travel. So I am gussing you want to do nothing to that part and let wheel move unless you have a lot of road travel with that wheel carring the rear of the plow. While the bracket could be brazed easy enough and a pin with roller could be fabricated I am hoping to use the easy button if I can find the parts at a reasonable price. Hi Case Nutty 1660, would you be able to send me a picture of the pin and roller assembly. 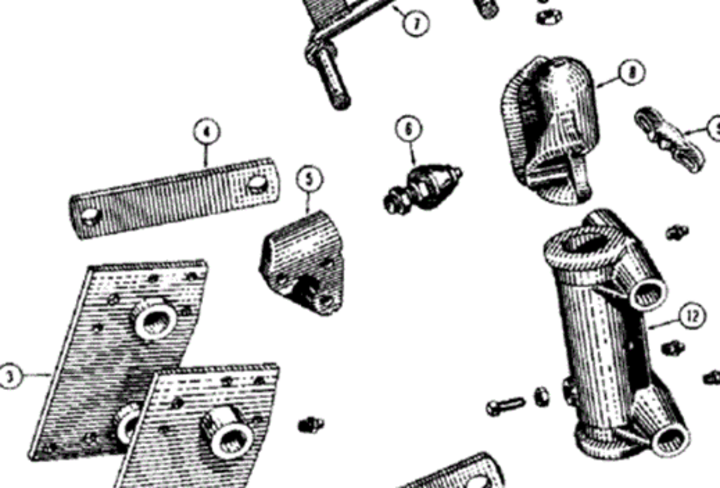 Since mine is missing I have never actually seen the roller, just line drawings on the parts diagram. If I can't find one I could likely fabricate one from a bolt with the head cut off which would give me a threaded end and a smooth end and then turn a tapered roller.